Specializing in quality, on time service, Truck One has built a solid reputation on delivering each load precisely as is required. By offering the quality of service that only a carrier our size can give, combined with the assets and strength available from our combined corporate structure, Truck One is positioned to understand the present and future requirements and expectations of our customers and provide service that meets or exceeds those expectations. Howard LeFevre founded our company in 1947 as B&L Motor Freight; Howard and his employees enjoyed many years of growth and success. 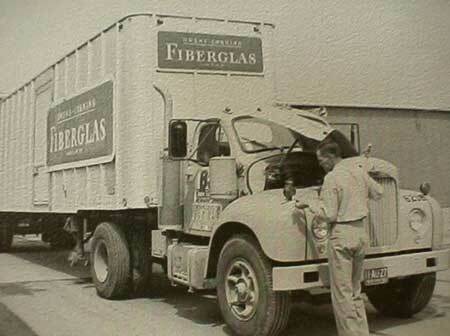 B&L Motor Freight was the preeminent trucking company in Central Ohio from the 1940s until the 1970s. When the trucking industry was deregulated in the early1980s, United Carriers Corporation and several affiliates were formed as customer-focused, transportation companies and B&L was phased out. Furthering our strategy of growth, United Carriers Corporation and the affiliated companies were merged into a single, high service and customer oriented organization - Truck One, Inc.
Our trucking company maintains regional, 48 state and dedicated operations with a total fleet size of 200 trucks and over 800 trailers of various dimensions. Fleet Service, a full-service logistics company was developed to better serve the freight management process by providing value-added services for all our customers. Our organization is debt-free and financially strong.